Jerusalem to Jews, Vatican to Catholics, Meca to Muslims, Chez Pannise restaurant to Cucee.Yep, Chez Pannise, the esteemed restaurant of Alice Waters, is kind of a big deal to me. Long before I ever stepped my foot into this little Berkeley foodie shrine, I had been worshiping its’ recipes the way Hindus worship Vishnu. 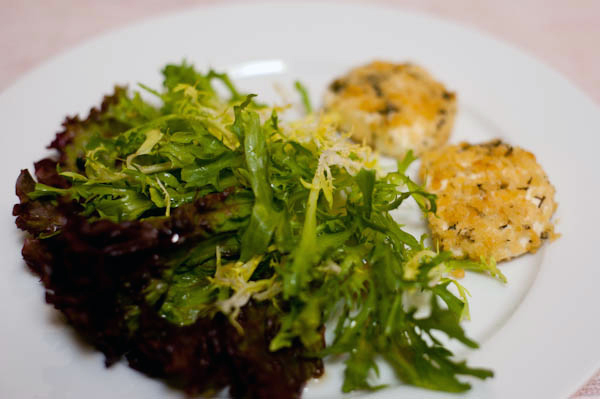 One Chez Pannise recipe that I’ve been dying to share is a recipe of a baked goat cheese salad. This Alice Waters’ creation has become a classic on the menus of many California restaurants. 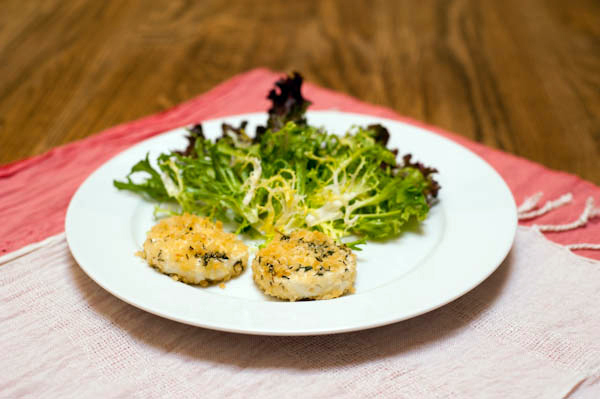 Set over a tangle of frisée, warm tangy rounds of goat cheese pair perfectly with a simple light vinaigrette. Their smooth and creamy melted interior contrasts nicely with the crispy crunchy crust, adding an element of a surprise to each bite. P.S. The baked goat cheese tastes best when served warm. 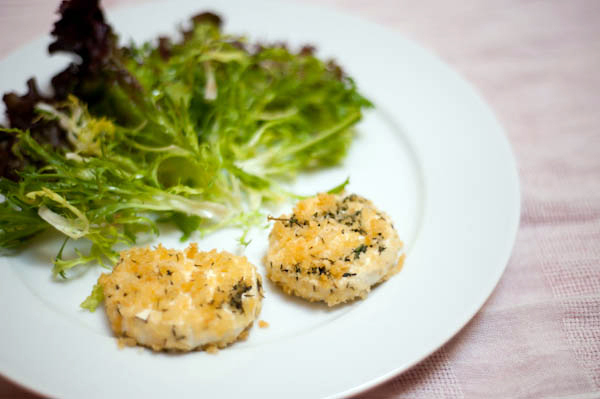 I always prepare the salad components while the cheese is still in the refrigerator, then toss the greens and vinaigrette together while the cheese cools a bit after baking. The tangy flavors in this salad can easily overpower many whites but are well matched by a crisp Sauvignon Blanc. My favorite one is Paul Dolan Vineyards Sauvignon Blanc, produced locally in the romantic Sonoma county. 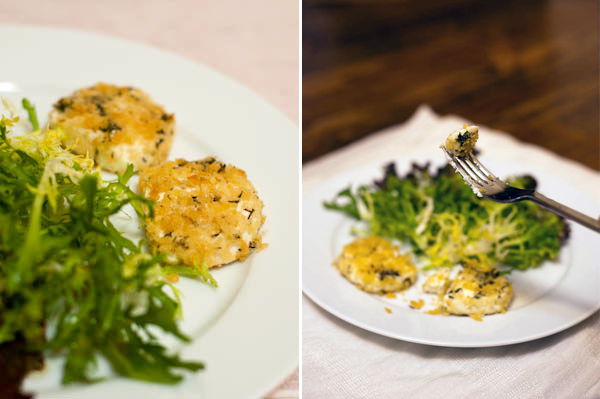 This is such a fabulous way to prepare goat cheese!